Back in June I did a post on an eggsperiment (I know, dreadful!) comparing the Primark make-up egg, Real Techniques Miracle complexion sponge and the original BeautyBlender. 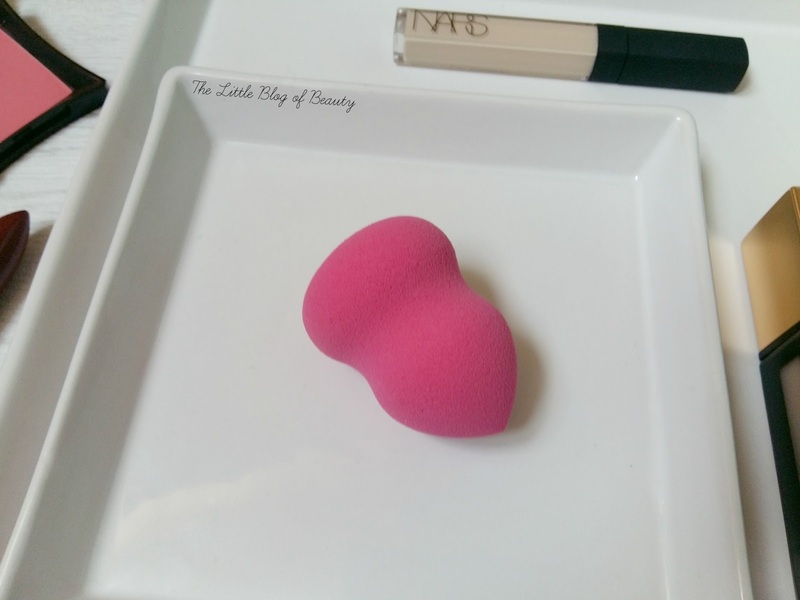 I crowned the Miracle complexion sponge as my favourite of the three with the BeautyBlender coming a close second. 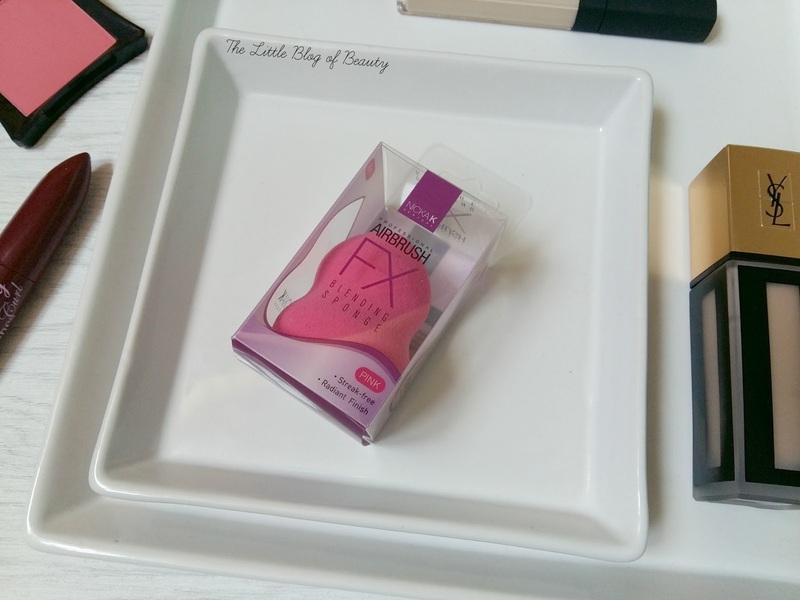 Since then I have gained yet another make-up sponge which came in my October Glossybox. This one is the Nicka K Professional airbrush FX blending sponge. As I now have four make-up sponges from different brands I thought it would be a good idea to update my eggsperiment and compare this one to my existing three. The main different between this sponge and the others is that this has what I can only really describe as an 'hourglass figure' with a 'waist' or groove in the middle of the sponge. At first I thought this was a little pointless when it comes to using the sponge as it doesn't appear to add anything to how you can apply your product. But when I used it I then realised this actually gives you a good grip on the sponge, either using your fingertips or by resting the groove in the crook of your thumb holding it in place with your index and middle fingers. You can use the curved bottom for large areas of the face and the pointed top for getting into areas like the eyes and around the nose. Price wise this one costs £6.50 meaning it's slightly more expensive than the RT one (around £6) and much cheaper than the BeautyBlender (£16). This is a much denser more solid feeling sponge than the RT and BeautyBlender, it's much closer in feel to the Primark sponge. I didn't find that this one particularly swelled up after running under water but then I often don't run it under the tap for long enough (I'm impatient) but this might also be because it's a denser sponge so it requires more water. As this is quite a solid sponge I don't find this as comfortable to use as a softer sponge. It's far from uncomfortable but as I stipple foundation onto my face it feels quite solid, especially on bonier areas like the cheek bones, brow bone and the jawline, and I'm not really keen on this, I personally prefer a softer feeling sponge. Like all of the make-up sponges I've tried this does provide a really nice almost airbrushed looking finish, but because of how solid the sponge feels it's definitely not my favourite. My favourite out of all four sponges is still the RT one followed by the BeautyBlender and then it's a close call between the Primark and Nicka K sponge. I think the Nicka K one just wins because of the unusual shape, although I don't think this is really needed. 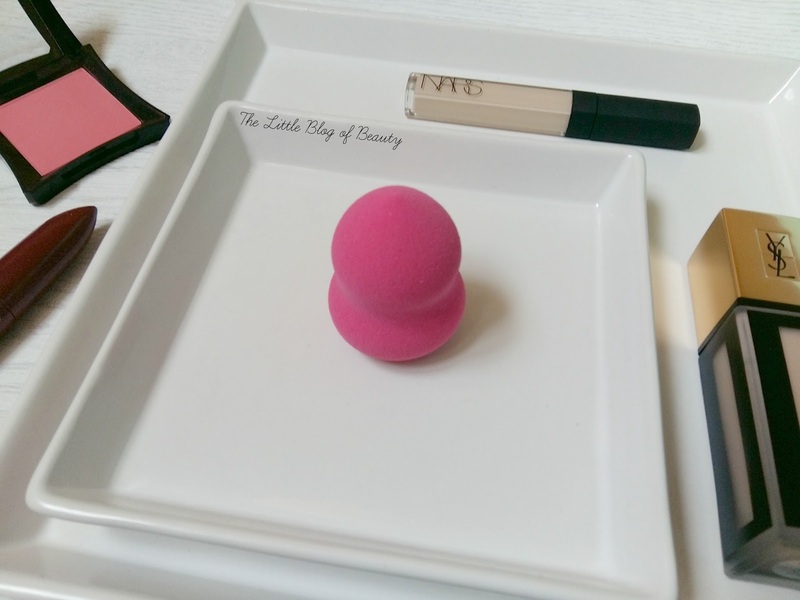 Are you a fan of make-up sponges and which is your favourite? Can't say I'm a fan of favourite makeup sponges to be honest. Brushes seem to distribute the products more but each to their own. I got this in my Glossybox and I thought it was quite good - I might give RT or beautyblender a go though as you've rated them better! For whatever reason I've always had ill luck with makeup sponges -- I have no clue why! My foundation always ends up looking terrible when I try blending it out. Although I'm glad that it's worked for you! I have this but haven't tried it yet, I don't think anything can top the beauty blender for me, it has me addicted! Haven't seen any reviews of these yet, though.